Plenty of artists say they’re thankful when their music finds an audience, but Jaime Wyatt has more reasons than most to be appreciative of the warm reception for her new album, Felony Blues. Wyatt, 31, was making music professionally by the time she was 17, when she signed her first recording contract. A self-titled EP of Sheryl Crow-esque pop-rock songs followed, produced by Seattle-area alt-rocker Pete Droge. But eventually, Wyatt’s record deal fell apart, and so did a second deal. Drugs helped numb the sting of rejection, and they also seemed glamorous to an impressionable teen feeling her way through the music industry. Jail shocked her out of a downward spiral and, eventually, provided fodder for Felony Blues. It’s a collection of six original tunes, and a Merle Haggard cover, with all the right country touches: trebly lead guitar licks and lonesome pedal steel over vintage-style C&W beats and Wyatt’s spellbinding voice, a rough-edged and emotionally expressive vehicle built for heartache. That’s true of her songwriting, too. Wyatt deals with incarceration on songs like “Wasco,” about an inmate romance conducted by letter; and “Stone Hotel,” a pulsing number with a wry streak that she started writing in jail and finished when she got out, after reading the transcript of her own court case. There’s an immediacy to the songs that sometimes feels as though she wrote them all in the moment, which is a testament to Wyatt’s skill as a writer. Wyatt grew up in Washington state, absorbing the songs she heard around the house from her musician parents: Bob Dylan, Tom Petty and the Rolling Stones from her Dad, along with Hank Williams, the Pretenders and a healthy sampling of English punk from her Mom. “I started writing songs as a little kid, because that’s what my parents did,” she says. After what Szlachetka diplomatically calls her “sabbatical,” Wyatt played in a few bands and made a record with one of them, American Bloomers, as she eased back into music and rebuilt her confidence as a writer and performer. With the wreckage now mostly cleared away, and a renewed focus on building a career in music, Wyatt is doing her best to shed the baggage of her past without forgetting the lessons she has learned. 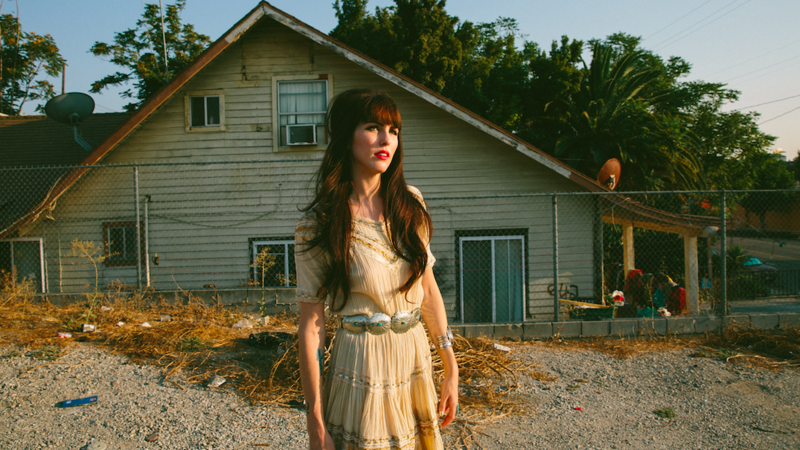 Wyatt’s path took a circuitous route, through addiction, the court system and the old stone hotel, but where she’s standing now—onstage, with a new record and a setlist full of compelling songs she wrote—is a pretty good place to be.